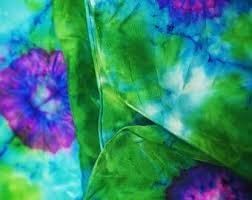 We will paint, spray on tie dye, watercolor, play with salt technique, spritz through stencils, sponge printing, and learn resist application on silk. Come try something new and enjoy being creative. Make fun quick projects with silk scarves using Jacquard Dye-na-flow paints.